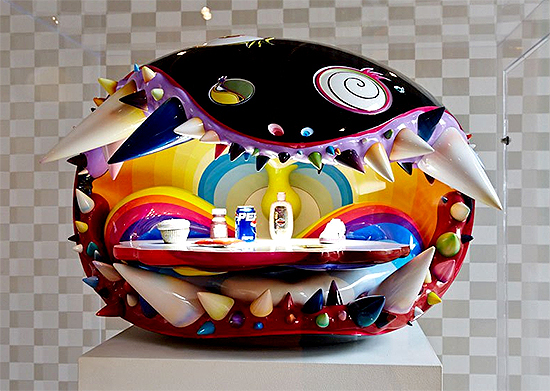 The vinyl Toy art medium has been growing and evolving ever since its conception in the late 1990s, and now the Design Exchange, Canada’s national design museum, is hosting an exhibit to pay tribute to this modern form of art expression. 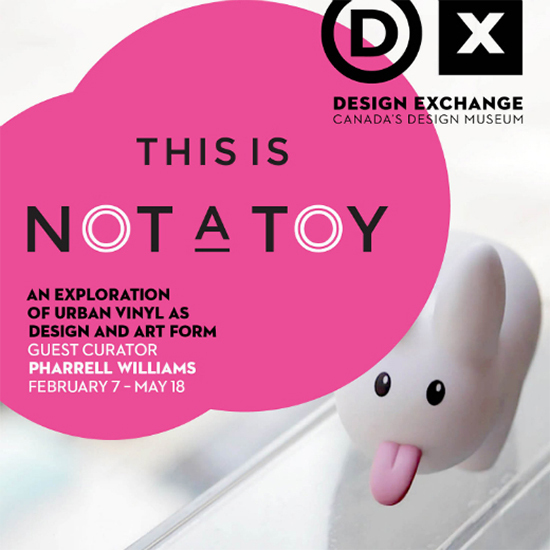 Titled “This Is Not a Toy”, the exhibit is located at the Design Exchange building at 234 Bay Street in Toronto, and explores the vinyl figure as an object of art and design, as well as challenging the difference between “toys” and artwork. 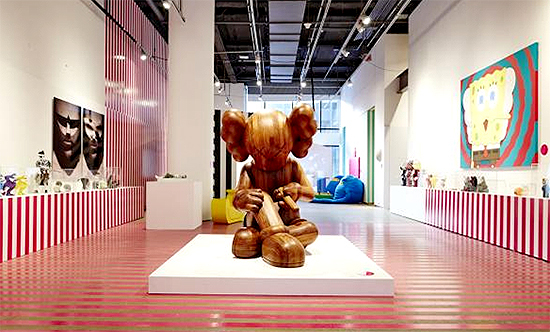 The exhibit, curated alongside singer-songwriter Pharrel Williams, who recently collaborated with Daft Punk on their hit song “Get Lucky”, features a variety of famous vinyl artists from around the world, including Michael Lau, KAWS, Coarse, Takashi Murakami, Huck Gee, Frank Kozik, FriendsWithYou, and more. With the exhibit open now until May 19th, this is a fantastic chance for vinyl fans to check out some of the most iconic works in the past decade!